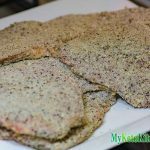 Low carb beef schnitzel recipe. 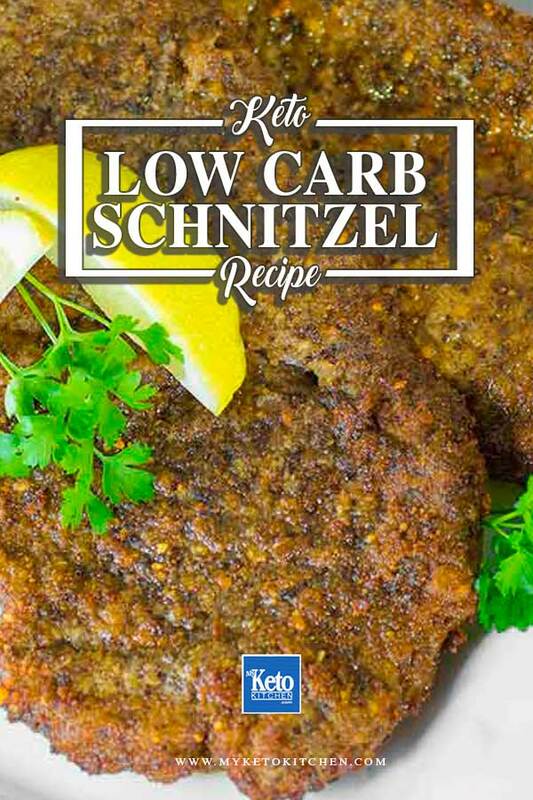 Our Low Carb Beef Schnitzels recipe is a quick meal perfect for a mid-week dinner or a hearty lunch. Cooking the perfect Low Carb Beef Schnitzel requires thinly sliced meat. If you can’t get your meat thinly sliced then grab a meat mallet (rolling pins are also effective). Place your steak between two pieces of parchment paper and beat the steak until it is between 5-8mm thin. Homemade schnitzels are great for lunch or dinner, they are best straight from the fryer or even cold – throw them through a salad or in a LCHF carb wrap. Deep frying is a great cooking method and we use it often. If you’re not sure about what kind of deep fryer to buy, check out our article on the Best Oil For Deep Frying first. We’ve added nutritional information for your benefit on the recipe card below. This recipe makes 4 servings, the recipe card reflects 1 serving which is 1/4 of the total recipe. Crack the egg into a mixing bowl and add the heavy cream, whisk together. In a separate mixing bowl mix together the parmesan cheese, flaxseed meal, garlic powder and pepper. Pour this mix onto a tray and spread out. Dip each steak into the egg mix, then press into the parmesan mix, press the “breading” onto each side. Begin frying your schnitzels. Each schnitzel will take around 5-7 minutes to cook, ensure that the entire schnitzel is immersed in the oil for even cooking. If you have a small fryer it is a good idea to fry the schnitzels in small batches, one or two at a time. 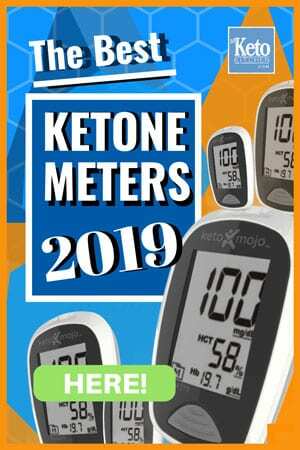 For our more keto recipes utilizing a deep fryer, check out our Southern Fried Chicken, Low Carb Buffalo Wings and Broccoli and Bacon Croquettes. 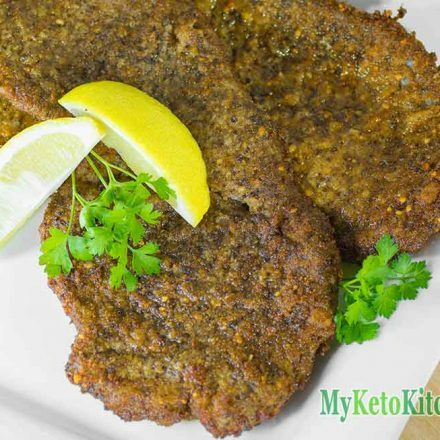 If you want to make a larger batch of this Low Carb Beef Schnitzels recipe adjust the servings above. This sounds great! Do you think you could cook in an air fryer?